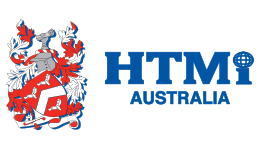 The tourism and hospitality field is booming so if you want to get qualified to work in the industry then look at the Hotel and Tourism Management Institute (HTMi) Australia! As Australia’s only Swiss Hotel institution they’re all about precision, rigour, discretion and respect for the customer.Be well prepared for a career in management within the hotel and tourism industry with HTMI’s globally recognised Diploma in International Hotel Management. The Swiss-based qualification is recognised for providing high class, state-of-the-art hospitality management training. Have access to outstanding paid internship opportunities, plus use your qualification as a pathway onto further studies. Upon completing your Diploma, you’ll gain 12 units of credit to get into the Bachelor of Business in Hotel Management, at The Hotel School Sydney/Melbourne.Be confident you’re getting one of the best education experiences with HTMI! They are currently ranked 14 in the 2018 World QS Top University Rankings in the area of hospitality and leisure management.